Welcome to the final Friday Open Thread before Christmas, even if Christmas Cheer seems distant nowadays. This week I’ve been enjoying two things: Watching Rogue One a few times and having watched through the second series of The Man In The High Castle twice now and today I’m going to focus on the latter show and seriously I cannot recommend this show enough. 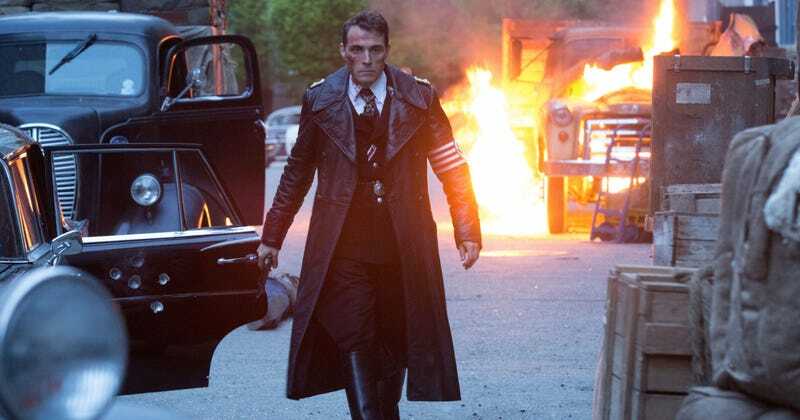 The first series was a great look at a the alternate future through the eyes of several characters but this series instead made the smart decision of largely focusing on the character of John Smith, de-facto leader of the German Occupation of the US, and his family. John Smith in particular is stripped of this “he’s a Nazi” veneer even further this season until the point where you’re actively hoping that he wins in the end despite all the evils he’s committed. It’s some clever writing and it doesn’t feel forced in its conclusion with his journey as a character making a lot of sense. This weekend I’m largely going to be relaxing and waiting for the hell that is Christmas Day. So what are your plans for Christmas. Just relaxing at home or doing something special? Also what are your thoughts on High Castle if you watch it? As usual just comment below.